We all dream of creating a site that everyone enjoys to visit and continue to visit day in and day out. Every thought is involved in what if the site becomes the next Facebook, or what if I can make tons of money from my site? Sometimes we get consumed with the what if’s of running a website or online business that we forget to think about the realities of running such websites. Starting an online business can be a daunting task, but if you take the time to create some realistic goals, you have a better possibility of succeeding. I am going to go over a few what if’s versus what is for online business and website goals. What If: What if your website can make you a ton of money, so you can quit your day job and live off the fruits of your hardwork? Making a lot of money online is a goal of many, but achieved by few. 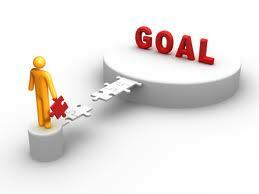 What Is: What is a realistic goal that you can hit with your website? The best way to succeed online is to create a goal that you can hit within 6 months, like get your visitors to 500 a day or get 1000 newsletter subscribers. Most people fail due to them thinking unrealistically and then just quitting. There are a small amount of people that actually live off the money they make online, and it didn’t happen overnight. What If: What if my website becomes huge with a lot of traffic? What Is: What is a traffic goal that you can reach within 6 months. Building up traffic is an on-going battle that every website owner works on. Without traffic, your site will never succeed. It takes about 6 months of constant work to get traffic levels up to a respectable level, but it could take longer. If you want to keep your dream alive, create monthly traffic goals so you can see some results. If you have outlandish traffic goals, then you will be more likely to quit as you won’t be able to hit those goals. What If: What if you can sell ebooks/products on your website to make money? Ebooks are very popular and sell pretty easy on a lot of websites. What Is: What is your expertise in the field that you plan on selling ebooks in? Selling other people’s ebooks doesn’t really bring much money and it doesn’t show that you know much in the industry that you are marketing to. I have spoken to many that think ebooks are the answer to a lot of money. The main thing that I tell them is that they have to have expertise in their field before creating an ebook. You can’t sell an ebook about making money online if you haven’t made money online. Sell items that you are confident in and that you know, not something that you think will make money. What If: What if I enter an industry/niche online that is known for making a lot of money? What Is: What is the reason for entering this industry or niche? If you main goal to enter this niche is to make money, think twice. Most of these industries are already pretty jam packed with competition and it will be very hard to succeed within them. Now you can enter the industry, but specialize in a small segment of that industry. It would be wise to enter a niche that you are passionate about, not one where you think you can make a lot of money. Making money takes a lot of time and dedication. If you are passionate about your craft, then you will continue to enjoy working at your website/business in order to make it the best. Entering an industry for the sole purpose of making money is the wrong way to start your online venture. I am not trying to be negative in this post or crush anyone’s dreams. What I am saying is that if you want to start a website or online business, you need to have goals in place before you get started. You need to know where you want to go and how you plan on getting there. If you have goals and milestones, then you have a path to follow and hopefully a vehicle to get there. Going blind into an online venture will cause you to wander the online realm looking for answers to why you are not succeeding. The one thing that everyone is going to tell you is to create quantifiable goals that you know you can hit. Creating a goal and reaching it is very satisfying. 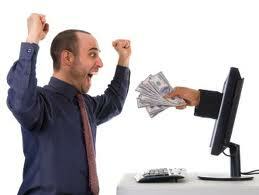 The satisfied you are when running a business or website, the more you want it to succeed. Keep your dreams alive while understanding realistically what you can achieve. The main thing I would say is never give up. You might not succeed at first, but you will learn a lot to help you succeed later on.